Imagine this. A soft brioche bun lavished with melted butter and a flurry of sugar. Flour, butter, sugar, yolks, and milk are blended together and formed into a deep yellow dough that’s rolled and twisted into a beautiful coil, and then baked until its crust turns into a radiant hue of golden brown. Now, take a bite. Its flavor is as rich as its color. Imagine the gentle crunch of sugar. The delightful, sweet grit. Imagine the delicate, buttery layers all melting instantly. Melting marvelously. Tear another piece but dunk it this time in rich hot chocolate. Imagine the chocolate dribbling down your chin. There’s a thick smear of butter and sugar above your lips. There’s butter on your finger tips. Need I say more? It is simple brioche bliss. And, mind you, I’m not talking French here. I’m talking Filipino. 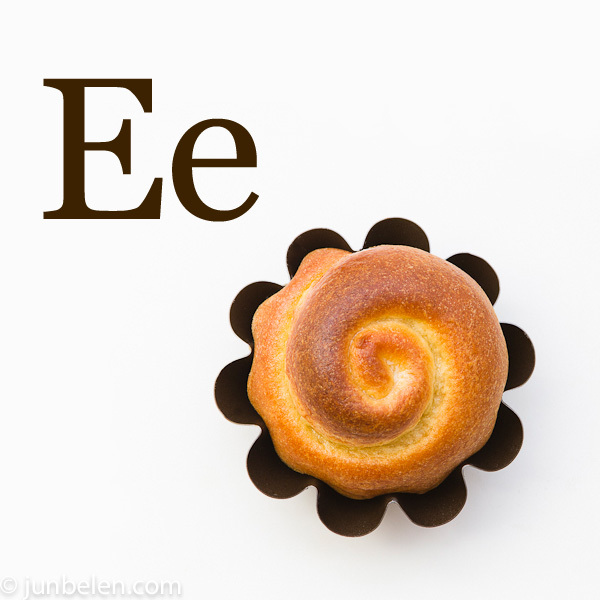 I’m talking about Filipino-style brioche called ensaimada [en-say-mah-dah]. Ensaimada came to the Filipino table from the island of Majorca in Spain, in the Mediterranean Sea. The spiral-shaped pastry got its name from the Mallorquinese word saim, which means pork lard, which is used in making the dough. They are typically flat and large, the size of a dinner plate. After letting the dough rise, it is cut into smaller portions. Each piece is rolled flat into a thin sheet, which is brushed with pork lard and then rolled like you would a jelly roll. The delicate rolled dough is then twisted into a coil, the shape of a snail’s shell with the tip tucked gingerly underneath. 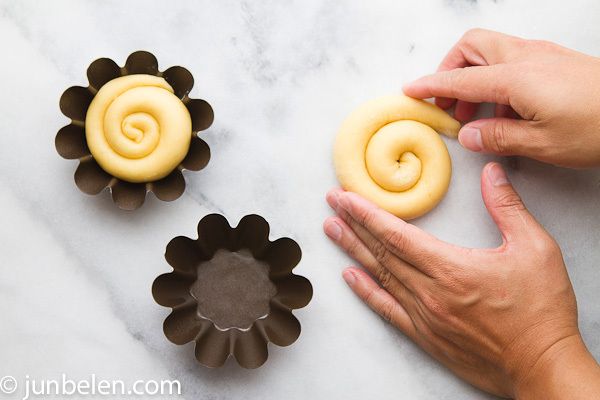 The spiral-shaped dough is set aside to rise one more time before it is baked until it turns golden brown. In place of pork lard, Filipinos use butter to make their ensaimadas. The rolls are dusted with sugar like their Majorcan counterparts but the Filipino rolls are much smaller, as small as a clenched fist. 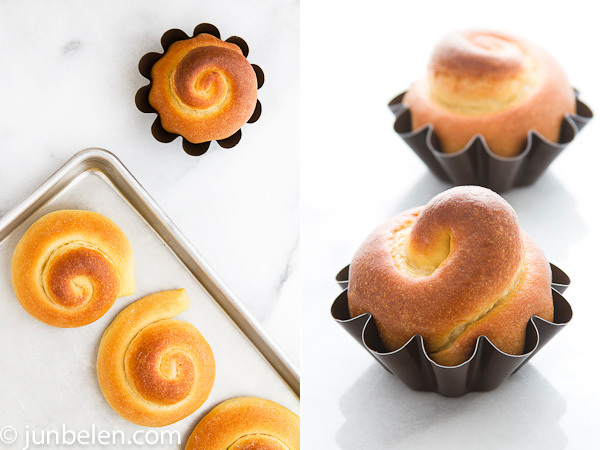 Variations include baking the coiled dough in fluted brioche molds so that the rolls puff up as they get baked. Edam or sharp cheddar cheese grated into fine shreds is sprinkled on top for a more savory brioche. Slices of ham are sometimes tucked inside the dough and in Malolos, a town in the province of Bulacan, ensaimadas are topped with sliced salted egg like the native bibingkas. But it’s the traditional ensaimada brushed with butter and sprinkled with sugar that I have always loved. 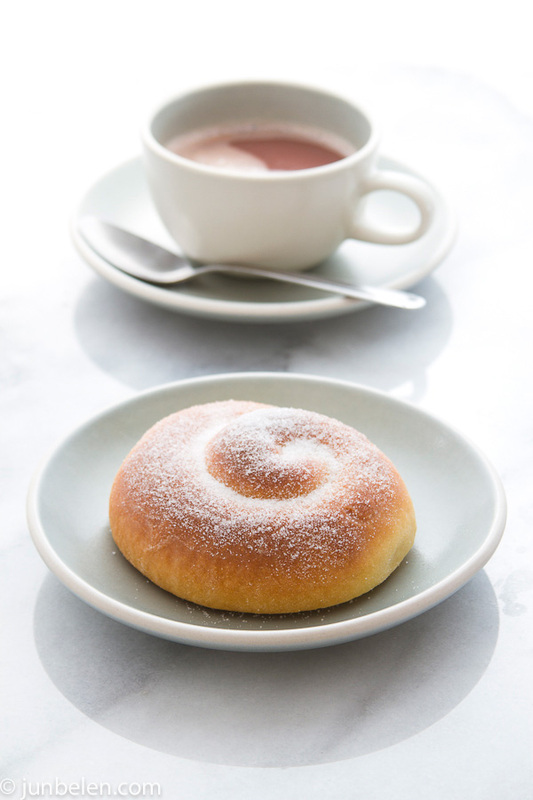 When I think of ensaimadas, I think of cool December mornings and warming up to hot chocolate and ensaimadas for breakfast. I think of lazy afternoon siestas and waking up to the smell of freshly baked rolls for merienda. I think of my sister bringing home brown paper bags filled with pan de sal and ensaimada from Washington Bakery a few blocks away from our home in La Loma. Washington Bakery makes the best ensaiamadas in town. This isn’t gospel truth, I must admit. I’ve had fluffier and flakier ones elsewhere but it’s the sweet memories attached to every roll from our neighborhood bakery that make these ensaimadas truly perfect. Truly one of a kind. Dissolve yeast in warm water with a temperature anywhere between 100 and 110 degrees F. To proof yeast, add one tablespoon sugar and let stand for 10 minutes. If the mixture doubles in volume then yeast is active. It is very important to make sure that yeast is active. Water that is too hot kills the yeast so make sure that the water temperature is around 100 to 110 degrees F.
Sift flour and salt together twice. Add about 1/2 cup of flour to yeast and set aside. Place butter and sugar in the bowl of an electric mixer fitted with the paddle attachment. Beat the mixture on medium-high speed until light and fluffy, about 5 minutes. Scrape down the sides and bottom of the bowl. Turn the speed to medium-low, add yolks, one at a time, beating well. Add flour alternately with milk, mixing until well incorporated. Add yeast mixture, beating well. Replace the paddle with a kneading hook and knead the dough until smooth and elastic. Alternatively, knead the dough by hand on a clean surface dusted with flour until smooth and elastic. Let the dough rest in a bowl greased lightly with canola oil. Cover the bowl with plastic wrap and let the dough rise until double in size, about one to two hours. Punch the dough and divide into twelve small, equal portions. Roll out each piece to a thin sheet, brush with melted butter, and roll sheet like you would a jelly roll. Coil this into a spiral-shaped bun. 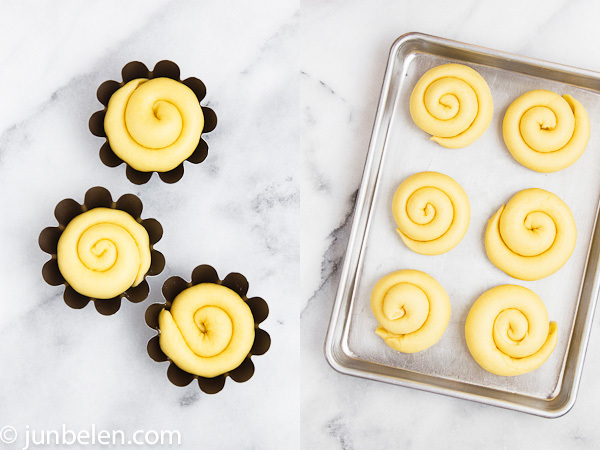 Either place the coiled dough flat on greased baking sheets or in greased fluted brioche molds. Set aside to rise until double in size, about an hour. When the dough is almost done, preheat the oven to 350 degrees F.
Bake until the crust turns golden brown. Brush with melted butter and dust with sugar. 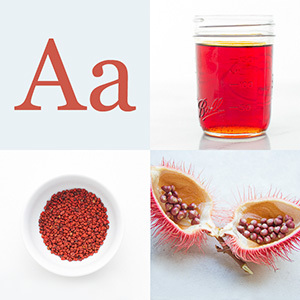 Learn the alphabet of Filipino food through our glossary. So much is lost in translation, I know, but I hope this glossary will help those unfamiliar with Filipino food become more informed. Pen, thank you for your note! Filled it with cream cheese and topped it with cheddar? That sounds awesome! You can do so many things with this basic recipe like add coconut jam, fruit jams and jellies, even ube jam!! I’m so glad you enjoyed the recipe. Happy New Year to you!! Hello greetings from Cambridge UK! I’d love to make these ensaimadas, been feeling quite homesick lately, but are the measurements North American? Here in the UK, the cup measures are different. Hey Kat, thank you for writing. Yes, all measurements in the blog are standard American measurements. Let me know if you need help in converting and I’ll send you the recipe with ingredients listed by weight instead of by volume. Let me know how your ensaimada goes! Hi Jun! I’m glad I found your blog. I have tried your enseimada and spanish bread and they are great!! I have had a very good review from families and friends here in England. You do great pictures as well. Keep it up! Grace, thank you for writing! So happy you found my blog and even happier you enjoyed the ensaimada and Spanish bread recipes! They are very versatile. You can ube jam to make ube ensaiamdas, or macapuno or coconut jam as filling. Thank you, once again and please come back again. oh yes definitely! im yet to try your pandesal, ill be doing a little xperiment about the ensaimada recipe, i’ll let you know the outcome! all the best! Thanks for the recipe! They turned out delicious! That looks really good, Chinmay! Thank you for writing and for trying the recipe! I cant wait to show you what I baked from your recipe! Margaret, I hope you took a photo! And I hope the recipe worked for you! Thank you for trying it out. Just made this today, with two variations: (1) I topped with whipped cream cheese, sugar, and shredded sharp cheddar cheese; and, (2) I was lazy, so instead of making individual coils, I shaped them like cinnamon rolls. The kids loved them and I couldn’t take a picture of the finished product fast enough. Love the whipped cream cheese on top! The dough is very versatile so you can do a lot of variations with it like adding ube jam or macapuno. Lexi, thank you for writing and for trying the recipe! So happy to hear everyone loved your ensaimada!